Erich Maria Remarque's 1929 antiwar novel All Quiet on the Western Front (Im Westen nichts Neues) became an international bestseller, selling nearly two million copies worldwide and translated into over 20 languages the year it was published. Pirated editions appeared in China, along with a stage play. 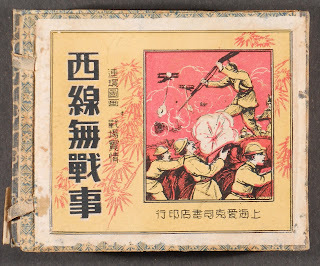 When the American film of All Quiet on the Western Front was produced the following year, there was an effort to ban it in China because of a perception that its antiwar message would undermine national resistance to Japanese aggression. 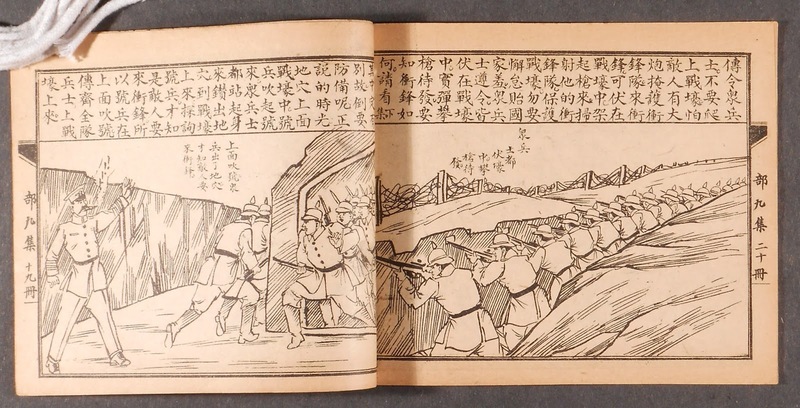 This is the cultural context for one of Rauner Library's newest acquisitions, Lianhuan huatu xixian wu zhansi, or "The Cartoon-Illustrated All Quiet on the Western Front," published in Shanghai in the 1930s. 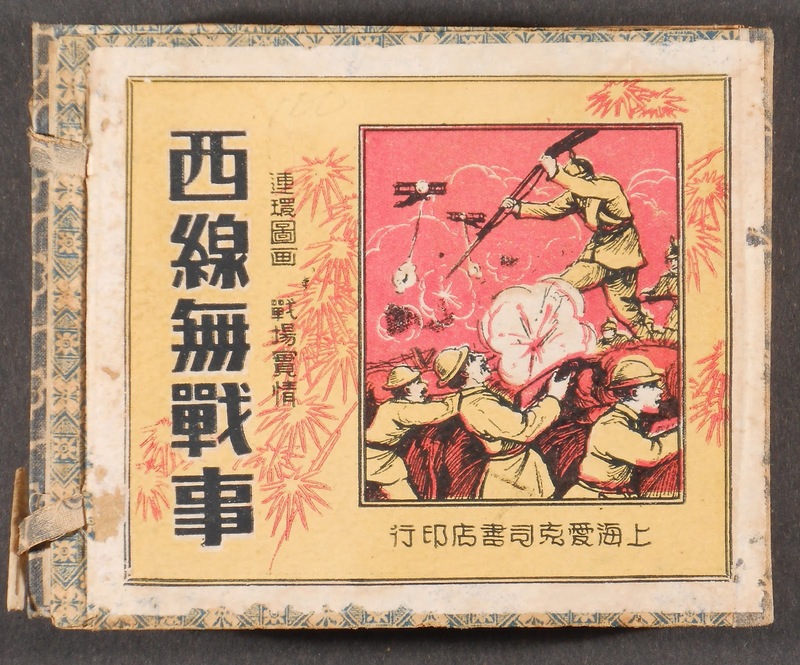 Despite the government's official intolerance of antiwar messages, there was some cultural resistance in urban areas of China during the 1930s. 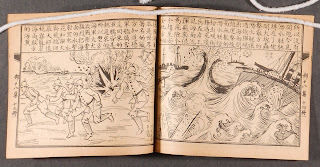 The visual arts were also flourishing in Shanghai during this time, and comics, or lianhuanhua, were enormously popular, particularly for younger and less educated readers. 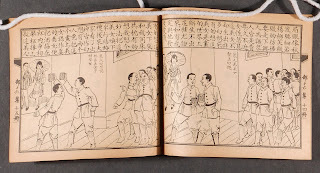 The lianhuanhua were sold at street bookstalls, and were issued serially, like many comics today. 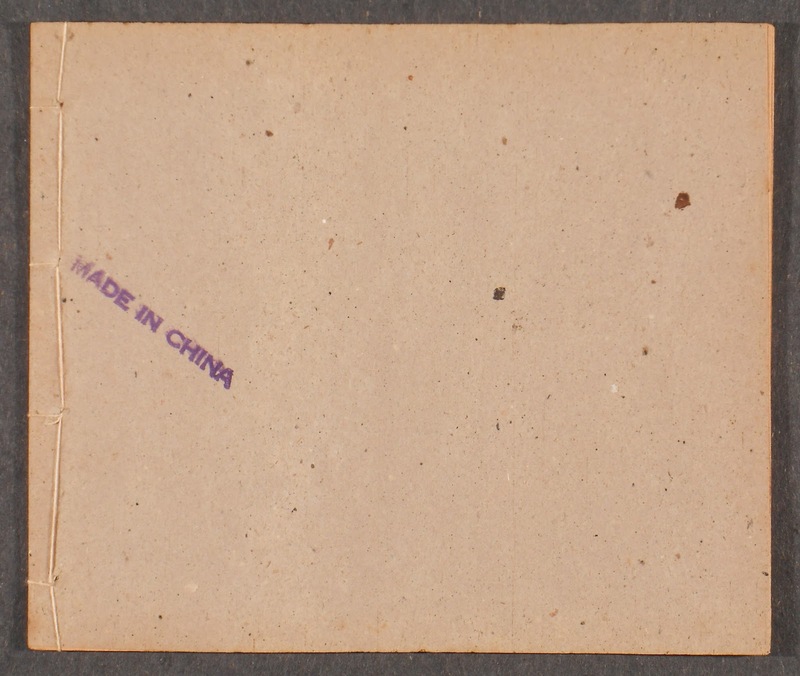 Readers could rent installments as they came out, rather than purchase copies. After a full run of a comic was completed, the publishers issued a box for the collection. Serialized comics usually don't survive well, because of the cheapness of their production and materials, and because they were often handled by many readers. 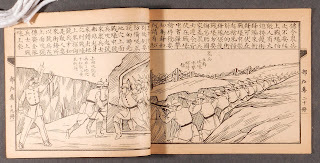 Our copy of Lianhuan huatu xixian wu zhansi is in excellent shape, and came to us in its original box. 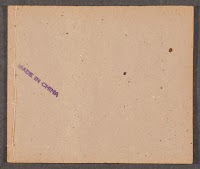 Several of the parts, or fascicles, are stamped "Made in China," suggesting that the copy was exported to other markets, which may account for its preservation. 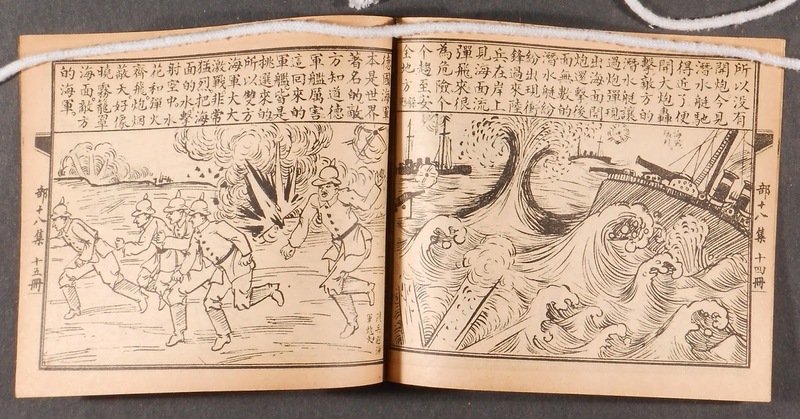 After the Japanese invasion of China in 1937, the comics industry in Shanghai came to an end. 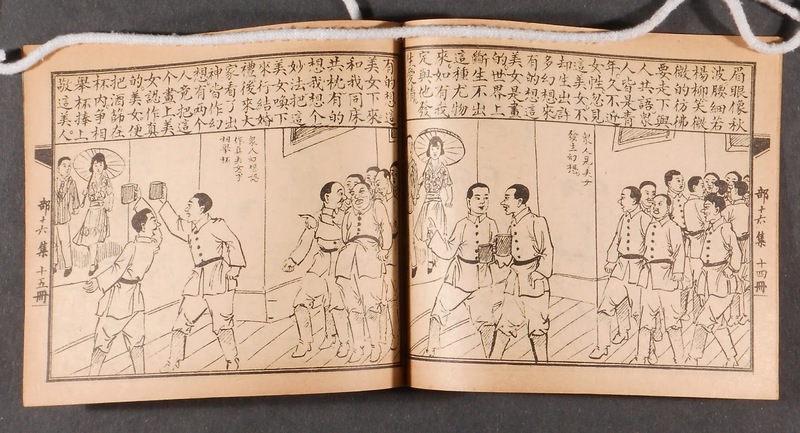 Some comics magazines survived as war propaganda, but Remarque's story of young soldiers who face the futility of war was likely less popular. To see this remarkable book, ask at the Rauner Reference Desk for Rare PN6790.C6 X59 1930z. I love comics and always i read when i have time. I read your all blog carefully and very interesting blog. your web master is superb!!! who provide the great information to us. great job. looking forward to see more.